Maeva Althaus is a native of Normandy, France and a graduate of La Sorbonne in Paris. For the last decade she has worked as a model. 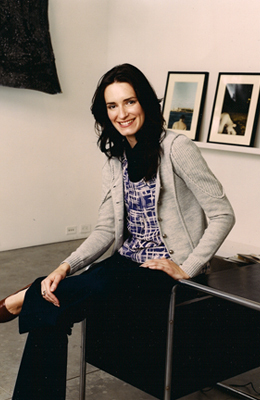 Her assignments have taken her around the world, ultimately settling in New York City in 2006. The hectic lifestyle of an international model led her to adopt a daily meditation and yoga practice. Suffering from IBS and food allergies, exacerbated by the constant travel required by her career, Maeva turned to Touch for Health/Kinesiology. Practitioner Jean Luc Penet in Paris cured the majority of her food allergies. Maeva subsequently began studying with him, a path she pursued in New York with Peter Miles. She later turned to Hypnosis, which helped her to quit smoking permanently. She studied Hypnosis in New York. She then specialized in Age Regression Hypnotherapy with Matt Sison and Randy Shaw. Maeva has been certified by the Society of Applied Hypnosis(SAH) and the National Guild of Hypnotists (NGH). She is also a certified HypnoBirthing practitioner - The Mongan Method for which she offers private as well as group classes. Maeva‘s Kinesiology and Hypnotherapy practice evolved out of her personal search for solutions to problems into a wish to share what she has found to help others. She is committed to deepening her practice and helping people who truly desire change.